According to the Sanya Forestry Department, Sanya will invest RMB272,891 million to build 277.03 hectares (27703 mu) landscapes in 2012. The plan include 8 major projects such as passageway landscape engineering, construction engineering for shelter belts to protect sea coasts, village landscaping engineering, urban forest construction engineering, rivers & reservoirs landscaping engineering, ecological economy forest engineering, forest tending engineering and floriculture engineering. Sanya residents can raise flowers and plants in the front or back of the houses through the "Landscaping Treasure Island” project. 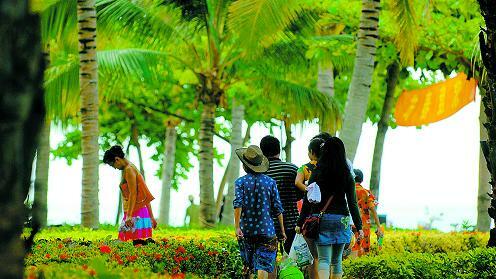 After the construction, Sanya will become a “Green Homeland” open to the public.